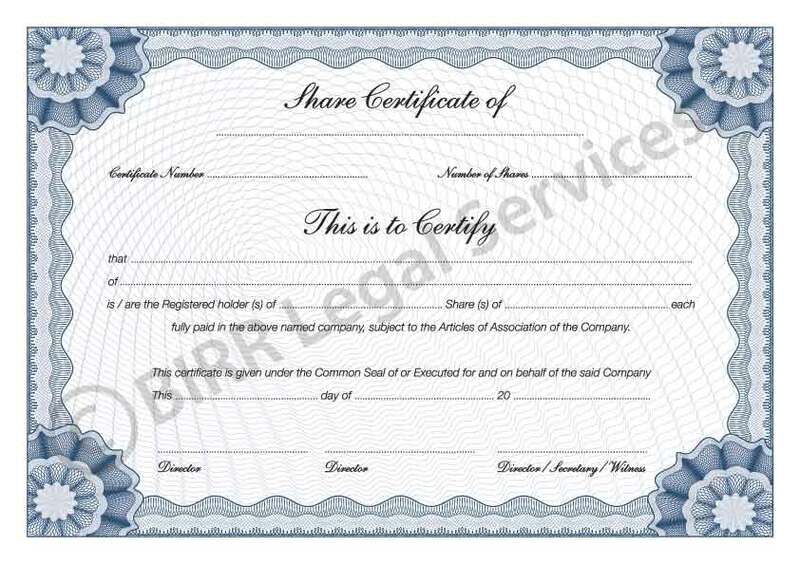 BIRR provides a professional, printed version of the share certificates or a downloadable version that can be tailored to your company requirements in a High Resolution PDF format. 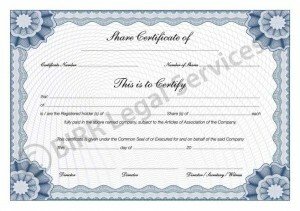 Please click on the image below to view a sample of the share certificate that we offer. Please select from the following to order your share certificates. Please note: We are only able to post the printed share certificates to a UK based address.